This IR35 Guide can be used to help you determine how compliant your contractual agreement is. It is intended for guidance purposes only and should not be used in place of a professional contract assessment. Our IR35 section is written in conjunction with IR35 experts, Qdos Contractor. HM Revenue and Customs introduced the ‘intermediaries legislation’, commonly known as IR35, in April 2000. The legislation is intended to combat the abuse by an individual who would be treated as an employee were it not for the fact they provide their services via their own personal service company (PSC). Working in this manner enables an individual to make substantial tax and NIC savings. If the Revenue investigate a contract and decide that it is ‘caught’ by IR35 they will calculate a deemed payment, treating all income received as salary and demanding all tax and national insurance contributions on payments originally paid out as dividends. Obviously there are a huge amount of contractors who are genuinely independent and they face the same struggle to prove this fact to the Revenue. Therefore it is vital that all contractors working through their own companies are fully aware of the legislation and do everything possible to ensure that they remain legitimately outside of IR35. The interpretation of IR35, and the defining of status, is reliant on case law – as such, the determining factors surrounding IR35 change over time and certain issues become more prominent following each significant case. To determine whether you are caught by IR35 the Revenue will look at both the written contract between your limited company and the agency and the actual working practices, i.e. the way the work is performed on a daily basis. There are a number of key areas that must be considered and incorporated if you are to remain compliant. 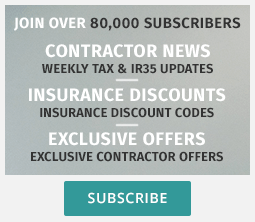 For the most up-to-date IR35 News please visit the Contractor Weekly Tax & IR35 News feed.